Now in its ninth year, King.com has rapidly become a social gaming powerhouse after pushing its games to Facebook. 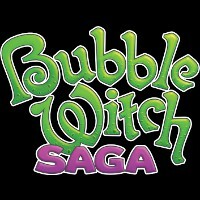 Amidst rumors of acquisitions and an IPO, Gamasutra speaks with the Bubble Witch house. While it’s going to be a long while before anyone gets within striking distance of Zynga’s dominance when it comes to social games on Facebook, the fight for the number two position on that site is a fierce one, when it comes to daily active users. Three companies are battling for the silver medal — Wooga, Electronic Arts and King.com. EA’s held the lead for a while, but earlier this month King.com broke away from the pack, largely on the strength of its Bubble Witch Saga game.